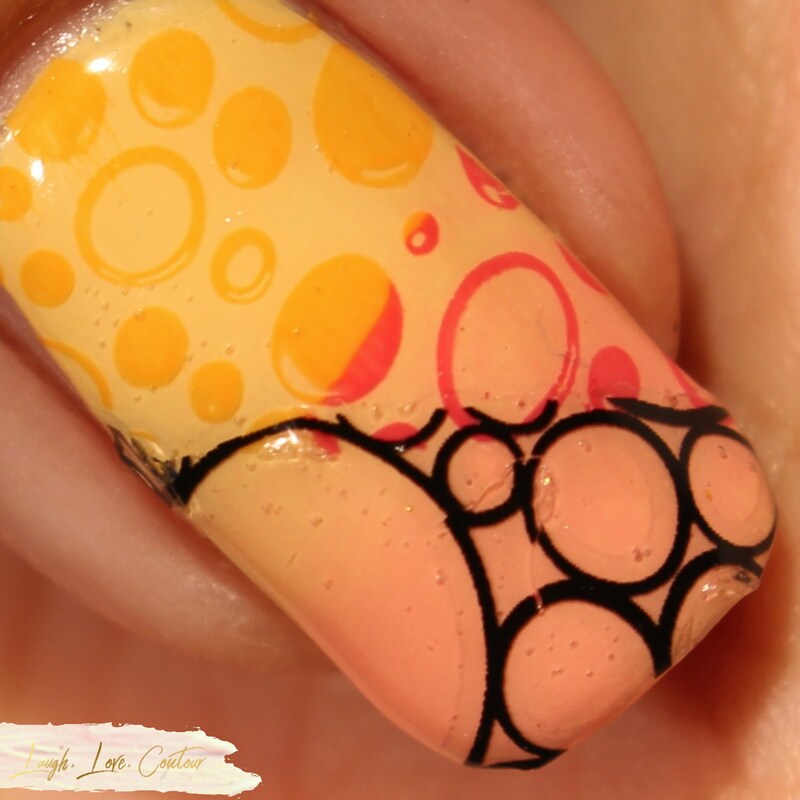 Bubble Nail Art with Born Pretty Store and Creative Nail Design, Inc.
Styles and patterns change over the years, but the simple look that still wins me over every time is anything incorporating circles. This is the main reason my dotting tools get pulled out from time to time, and no matter what colour palette I am using, I just know I'm going to be happy with the final results. 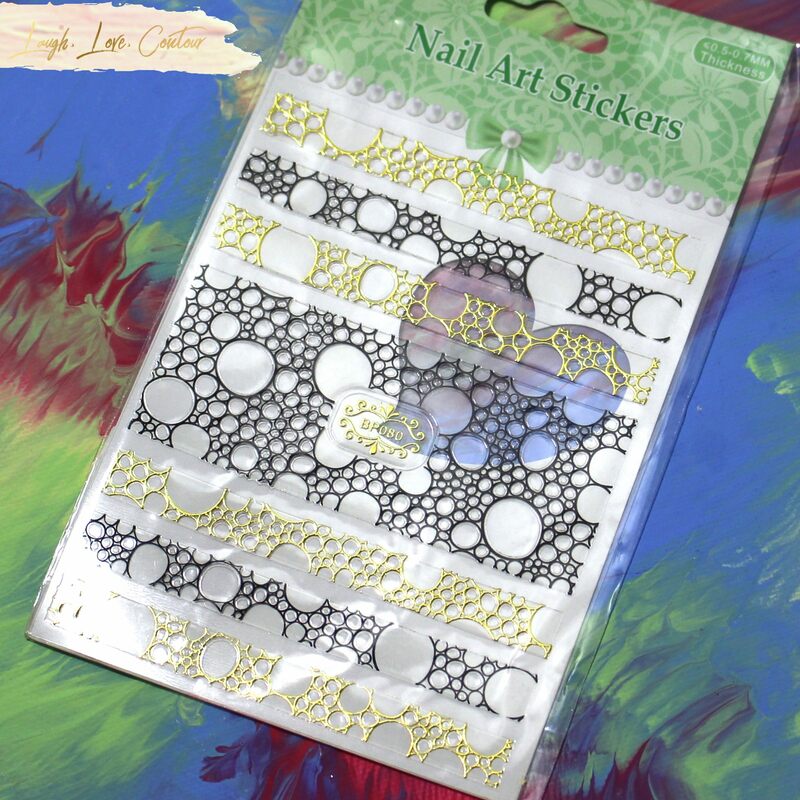 When I stumbled across this bubble-pattern nail sticker sheet from Born Pretty Store, it was love at first sight! The various sizes along with the slight imperfectly round shape is something that appealed greatly to me, and I just had to create a fun nail art look with these! 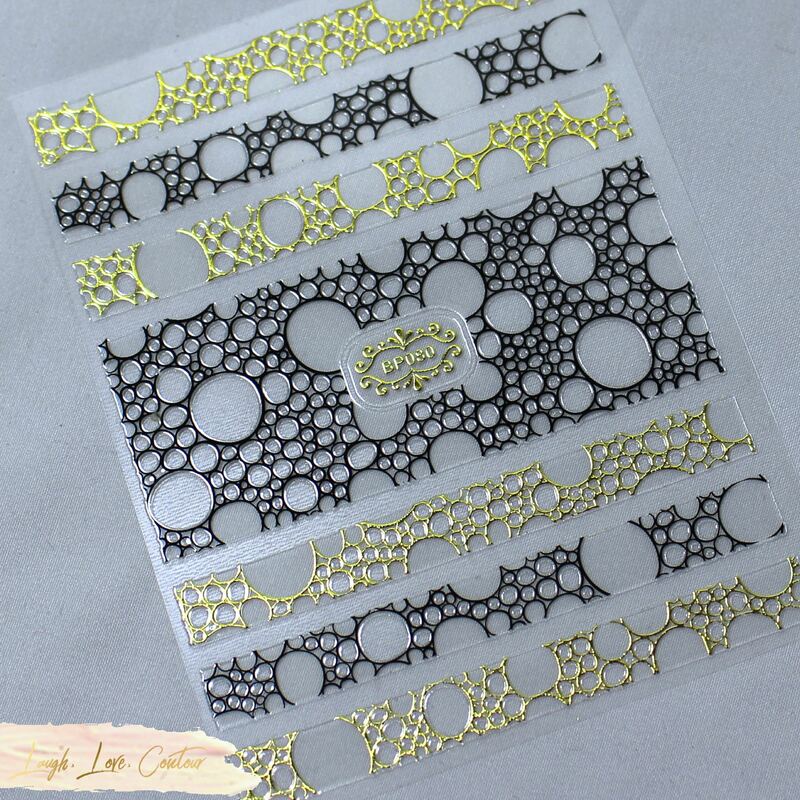 This particular sheet is filled with bubble patterns in black and gold, with a total of six thinner strips and one larger section. These are not cut out to specific sizes, so you can cut out the exact segments you want at the lengths you need for your nails. While this may be an extra step in the application process, I love that I can tailor the areas I want rather than have something precut and wishing it was cut longer, shifted over, or whatever variation that suits my fancy. I wanted to use colours that still had the brightness of summer, but transitioned nicely into the fall season. I had received these particular nail lacquers from Creative Nail Design, Inc (CND) while at Cosmoprof North America, and I had been trying to figure out how I wanted to wear them all together since I knew these shades were a match made in heaven! Once I determined these polishes could stamp, my nail art design came immediately to mind. This colourway and bubble pattern of these stickers is exactly what I had envisioned! To create this look, I started off by creating a gradient on my nails with CND nail varnishes in the shades Vagabond and Uninhibited. 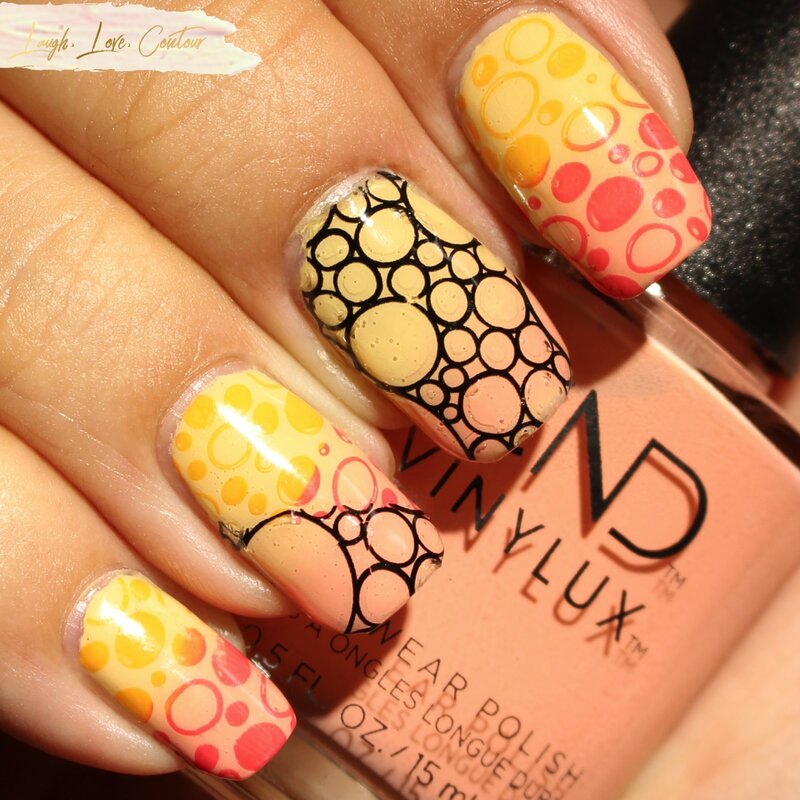 For the colourful bubbles, I stamped on an image from LeaLac LLC-B stamping plate* using CND Offbeat and Gypsy**. I then cut out sections from the sticker sheer of the black bubble pattern I wanted, pealed from the paper backing, and placed them on my nails. I then sealed everything in with top coat. While you might normally expect using nail stickers to be exceptionally easy, these were actually a little trickier than I had anticipated. The inner portions of the bubbles had the sticker area removed, and it made these stickers much more delicate. Even with careful removal from the backing with my tweezers, I ended up tearing apart some of the bubbles and had to realign them as closely as I could on my ring finger nail. Another drawback to these stickers is the sticker itself is quite thick, and if your nails have substantial curving, the stickers do not lay down easily and conform to the nail. You may be be able to see it well looking at my nails, but some areas have a little bit of a bump where the sticker just couldn't lay perfectly flat due to my nail curvature. I used two coats of top coat to help smooth the stickers down, but I can still feel bumps in a few regions where the sticker segments puckered up. This phenomenon would like still happen with any sticker, but the thick sticker made it more obvious. That being said, a thinner sticker would only make these all the more fragile with the center circles removed. In spite of some of the issues I had with these, I have really loved the way this design came together and have been enjoying the look the past two weeks. You can save 10% off full priced items from Born Pretty Store with code QWL91. If you opt to order during their 8th anniversary celebration from October 10th - October 16th, be sure to include this code in the comment section (regardless of whether or not you use it) and they will include a special free gift with your order. The bigger the order, the more free gifts will be added, although at this time, I'm not sure what the cutoffs are to get more free things. I don't know what the free gift with purchase is yet, but it'll be like getting a holiday surprise for yourself. I have the anniversary celebration marked on my calendar since I like to take advantage of their deals as well to stock up on some supplies for future nail art looks! What sort of colours are you wearing on your nails now? Are you still in summer mode, or have you already jumped into fall mode? Would you use nail art stickers to create easy manicures? I'd love to hear from you! 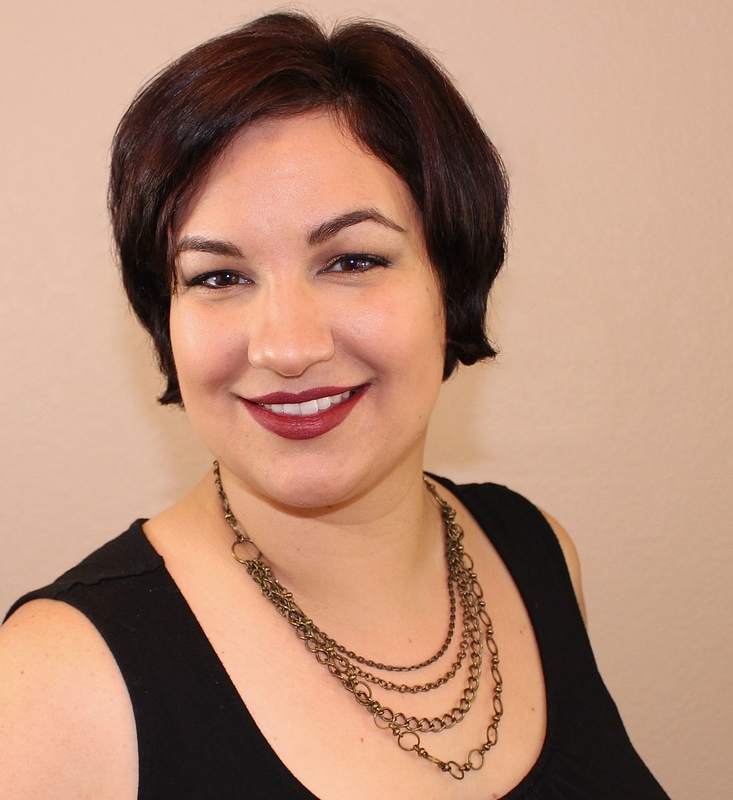 *Leah Ann stopped selling her plates quite some time ago, but she makes gorgeous nail polishes and phenomenal body products! **I had only looked at the colour of the last CND shade here and not the name when I opted to use it for this look. I severely dislike having to put a derogatory slur in my post (hence my crossing through it), but because it was used, I still wanted to include it in this post for your reference. I can only hope CND considers changing the name to something that is not offensive to Romani people. I think my nails are too curvy to fuss with these but they look cute, you can’t even tell they are stickers in your full mani shots! This is a very attractive manicure. The colors are great for the season. From your comments I know I'd make a mess of it but I still like it. That's such a cool mani! Those look really fun! But I am so horrible with stickers and decals, I can never get them quite right. I love these on your nails but I don't know if I'm delicate enough to work with them, although they look awesome enough that I want to try.